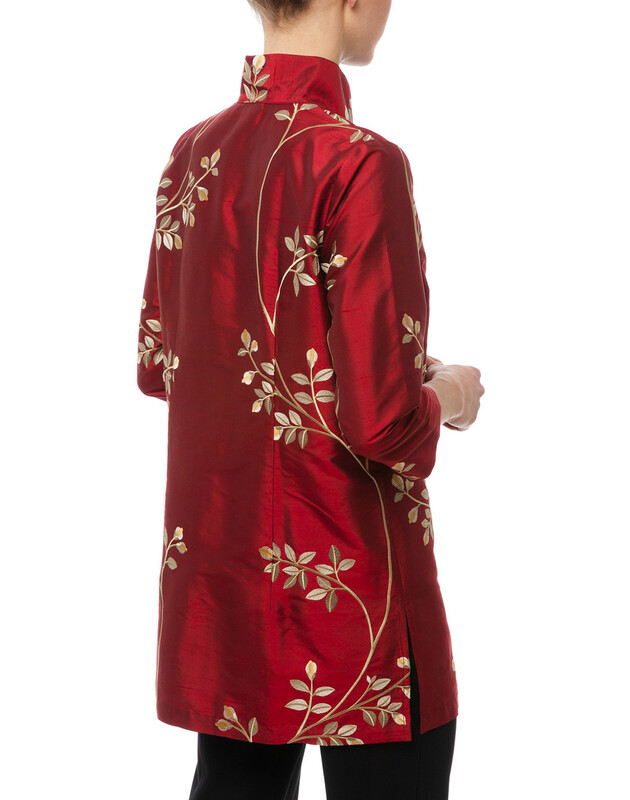 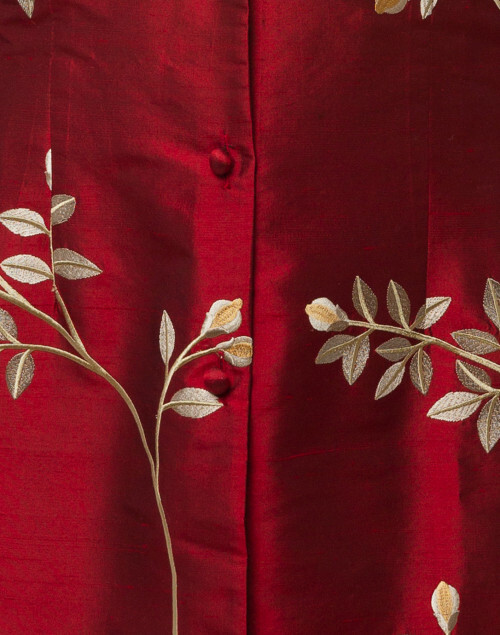 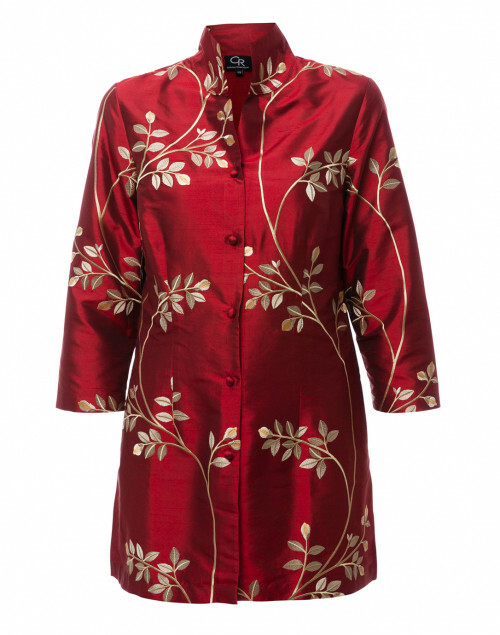 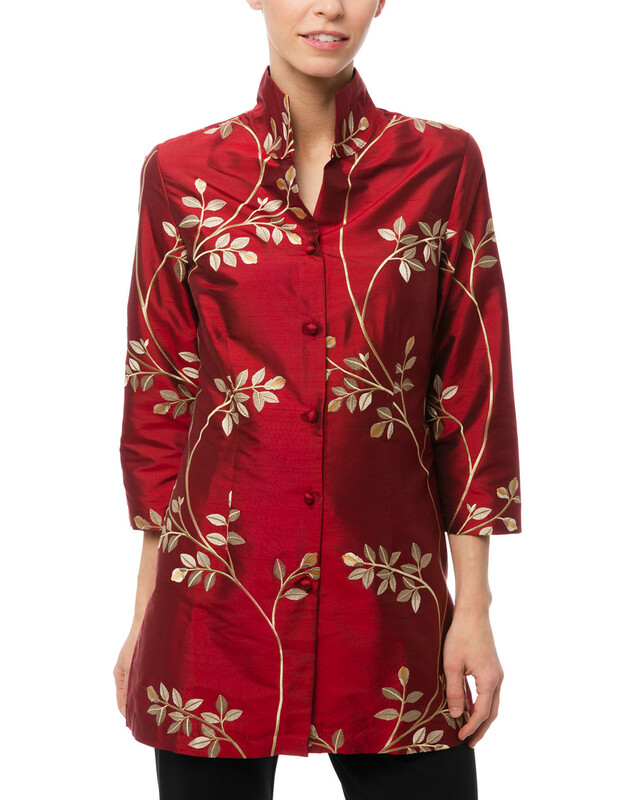 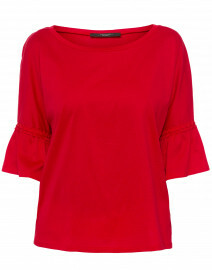 Connie Roberson's romantic, elegant spirit is evident in this ruby red and gold leaf embroidered Rita top. 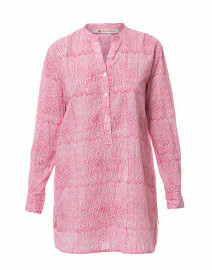 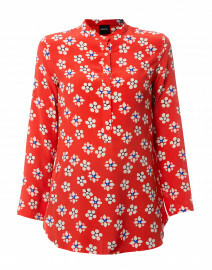 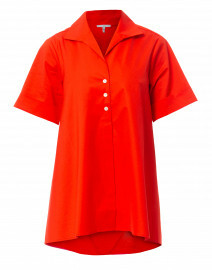 Made in the USA from mid-weight silk fabric, the relaxed shape features a stand-up collar and button down front. 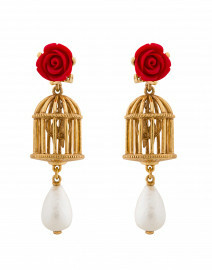 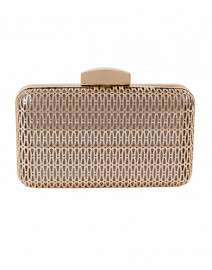 Consider it for evening events, styled with tailored trousers and statement earrings.